This 5-ingredient turkey panini, made with brie, fig preserves, and arugula is just what you need on a busy, chilly fall weeknight. 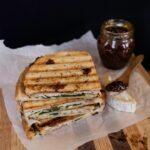 Creamy cheese balances out the earthy sweetness of fig preserves and peppery arugula in this warm, pressed sandwich. Any sandwich can benefit from a good ol’ smush, but this one especially. Sourdough bread is perfect for this sandwich as it becomes crisp, adding even more texture. 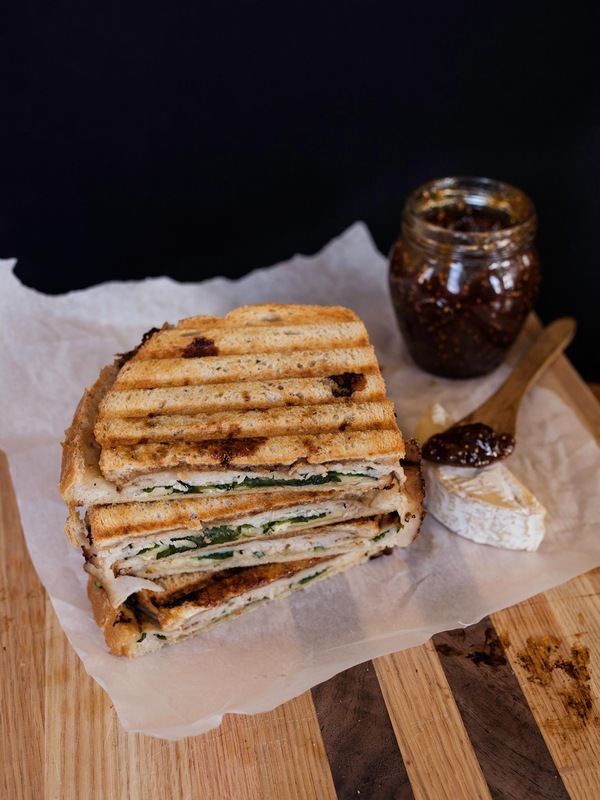 Creamy brie, tender arugula and gooey jam are heightened by the crunch of toasted bread. This is one of four recipes in a picnic series that were recently featured in the Spring issue of Revival Magazine. Check out my Apricot-Almond Galette from the same story. Each and every recipe was developed and crafted around the idea of an upscale spring picnic, which I like to call Picnic Redux. The perfect fall panini! This 5-ingredient sandwich, made with brie, fig preserves, and arugula is just what you need on a busy, chilly weeknight. Heat a panini press or 12-inch skillet over medium-high heat. Gently remove top and bottom rind of the Brie cheese (if desired), using a paring knife. Cut into ¼ inch slices. 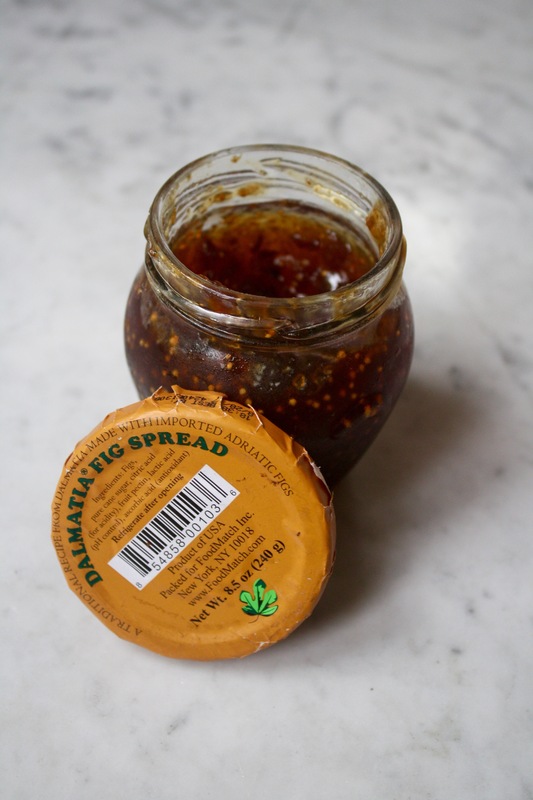 Spread one tablespoon of jam on each of four bread slices, followed by 3-4 slices of turkey, 4-5 slices of brie, a handful of arugula and remaining slices of bread. Coat panini press or pan with olive oil spray and place 2 sandwiches on hot surface. If using a pan, cook for 4 minutes or until golden brown, flip and continue to cook for an additional 4 minutes. Repeat with two remaining sandwiches. Wrap in parchment paper for a picnic.